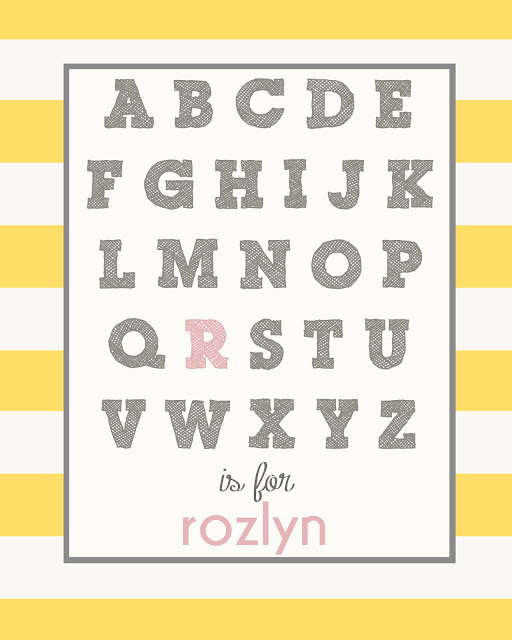 I think it's safe to say that I didn't just happen to pick the exact names and color combos that you would want on these alphabet name prints. :) So if you'd like one, email me with the name you'd like on it and I will get it made for you. Also - don't see a color combination that you like? 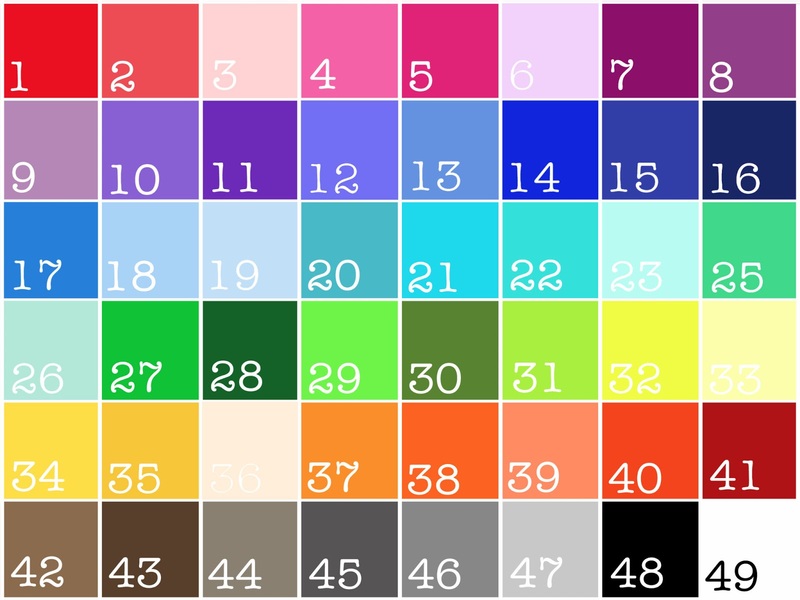 No problem, just include in your email the colors that you would prefer (color chart pictured at bottom) and I will customize it for you. 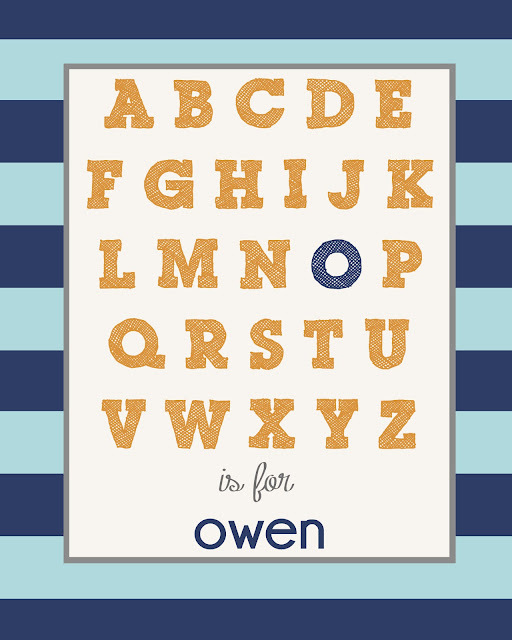 These look adorable in nurseries and make great baby gifts...print one out and frame it and you're good to go! Great work!! thanks so much for sharing it with all of us! 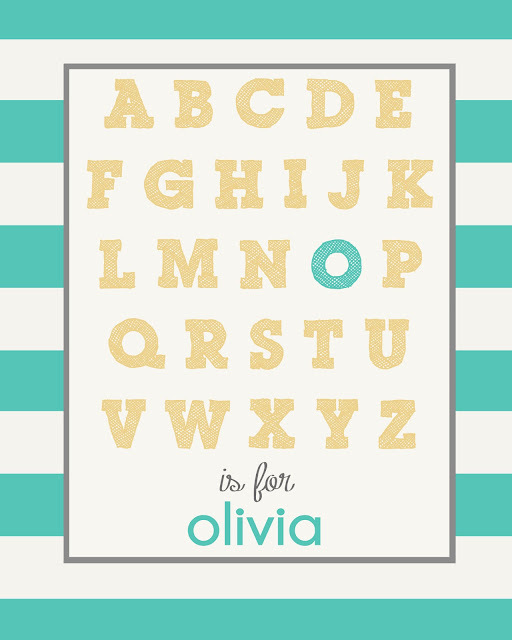 Hi Gina- this so darling! Would you be willing/able to make this in 8.5 x 11 size? 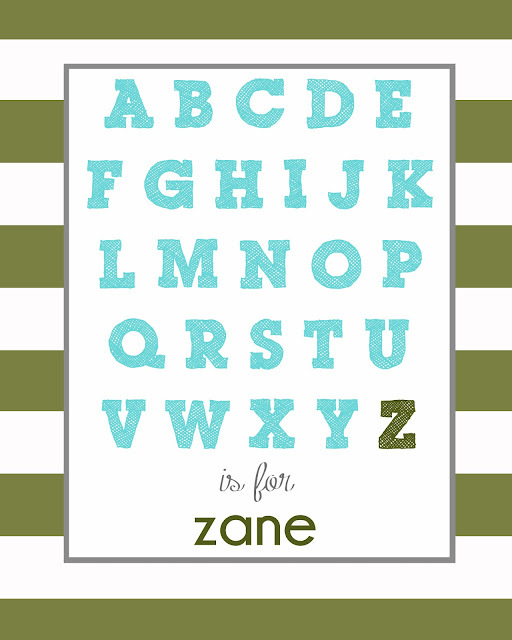 Could you do B is for Bryce in #41, the rest of the letters in #16 and stripes in #47 and #49? My email is thestylefilesblog@gmail.com. I love the blue & orange! 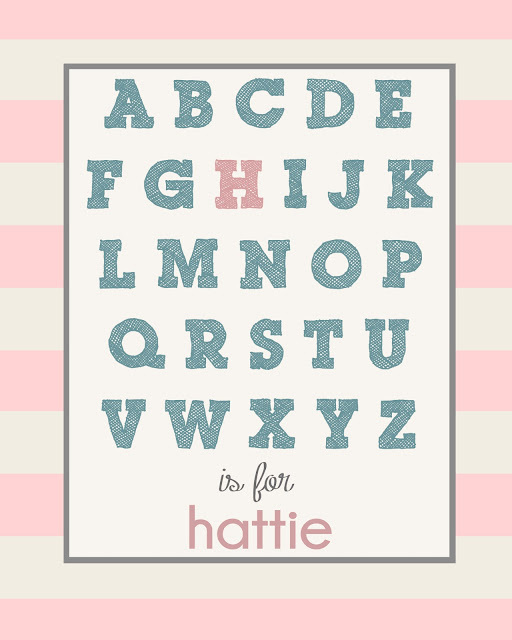 It would go perfectly in my little man's playroom! 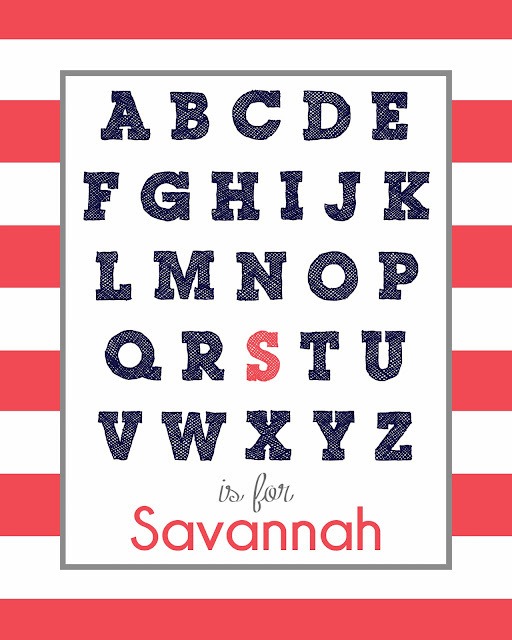 I'm sure you're a busy bee, but if you get a chance I would love those colors with M for Maddox! My email is laurenwromero@gmail.com. Thank you for sharing your designs! They are precious! !